Russell Books – Victoria (founded 1991) – In 2016 the store celebrated its 55th birthday in Canada and it’s 25th in the wonderful book-loving community of Victoria where it now resides. Russell Books is passionately committed to making books affordable and accessible, and to providing a community space where people can gather to celebrate the written word and the thriving arts and culture scene in Canada. The many family members, +40 staff, and two stores now offer over 16,000 square feet of new, used, antiquarian, and out-of-print books, as well as a unique selection of cards, journals, and calendars. In May of 2013 Russell Books expanded once again to open the Vintage and Collectibles Floor. In the Vintage section of the store events are held throughout the year with many wonderful authors, musicians, and community members coming to speak and perform. The Book Man – Chilliwack and Abbotsford, BC (founded in 1963) – great selection of used books, as well as new books, notebooks, journals, and paper gifts. Say hi to Nietzsche the cat! The Book Man is a carbon neutral business and adds a yearly calculation of trees to a small privately run forest to renew this status. Librarie Drawn and Quarterly – Montreal (founded 1990) – specializing in comics, graphic novels and comic strip collections. The books it publishes are noted for their artistic content, as well as the quality of printing and design. The name of the company is a pun on “drawing”, “quarterly”, and the practice of hanging, drawing and quartering. Initially it specialized in underground and alternative comics, but has since expanded into classic reprints and translations of foreign works. 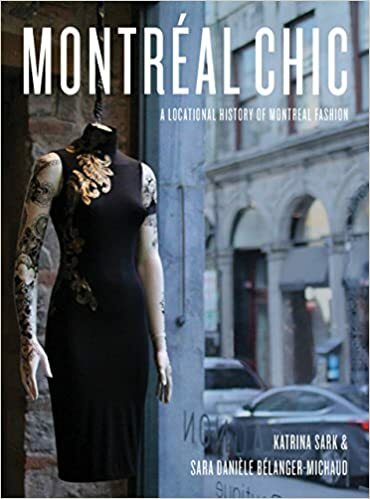 Paragraph Books – Montreal (founded – 1981) – a couple of friends, Jonathan Penny and Richard King, decided to open their own bookstore with a café. In the 1990s the store moved to its current location on McGill Avenue, and in 2000 Paragraph was acquired by Archambault. Paragraph also hosts many literary events and author appearances. Another Story Book Shop – Toronto (founded 1987) – Social justice bookstore, located in the West end of Toronto, this independent book store sells a broad range of literature for children, young adults and adults with a focus on themes of social justice, equity, and diversity. Type Books – Toronto (founded 2006) – with three locations in Toronto. Co-founders Samara Walbohm and Joanne Saul met doing their PhDs at the University of Toronto. They opened their first location, on Queen West, in 2006. Type has been able to satisfy the city’s literary desires in ways that big-box stores and online retailers can’t, in part by collaborating with publishers, showcasing local artists and running not-for-profit programs for kids. The store’s striking logo was designed by Stephen Gregory, who is now art director at Maclean’s. Books and Company – Hellerup, outside Copenhagen (founded 2009) – a place to discover, a place to meet up and to reconnect, a place to hide out from the rain, a place for special events, a place to discuss ideas, a place where friends and customers are one and the same. Cinnober – Copenhagen (founded 2008) – independent bookshop in the centre of Copenhagen near the Round Tower. The shop presents a selection of international, visually inspiring books on contemporary graphic design, illustration, architecture, industrial design, fashion, photography and art. Alongside limited prints by local artists you will find a handpicked selection of paper products and design. Cinnober was founded by Ulla Welinder and Morten Voigt, she a graphic designer and he an illustrator, to whom books, paper, design and art has always been a source of inspiration and joy. Ark Books – Copenhagen (founded 2014) – nonprofit, inclusive community bookshop run by volunteers that carries world’s literature, and Danish literature for those who can’t read Danish. Most books are in English, but they also have books in German, French, and Spanish. They care about translation, and sometimes carry different translations of the same book. They try to bring known and unknown literature from as close and far around the world as possible. Shakespeare & Company – Vienna (founded 1981) – English book store, founded 35 years ago by Guy Perlaki’s former boss. She had been inspired by her travels to Paris and the legendary bookshop with the same name, which was a meeting point for the likes of famous authors such as James Joyce and Hemingway. Pickwick’s Bookstore – Vienna – International cafe-bar, videos tore and bookstore, where English is spoken. Dussmann – Berlin (founded 1997) – German and English books,, largest classical music department in the world, but fans of jazz, pop and international music will also find their tastes satisfied. The store, which is one of the most famous media outlets in Germany, offers a large selection of audio-books, music scores, gifts, stationery and, of course, books. 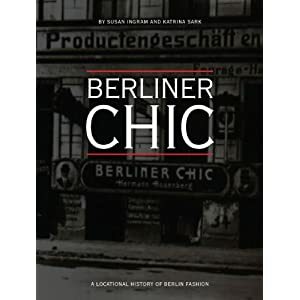 Bücherbogen – Berlin – more than thirty years ago, Bücherbogen am Savignyplatz was established in a former car repair shop, located in the massive brick viaduct underneath the tracks of the Berlin S-Bahn. The store, set up by Ruthild Spangenberg and now managed by her and her daughter Wanda Spangenberg became the nucleus of the still ongoing rise of the Savignyplatz district, from rundown to premium. The store is especially famous for its broad and excellent in depth selection of books on the arts, on architecture, on fashion and on film. Do You Read Me? 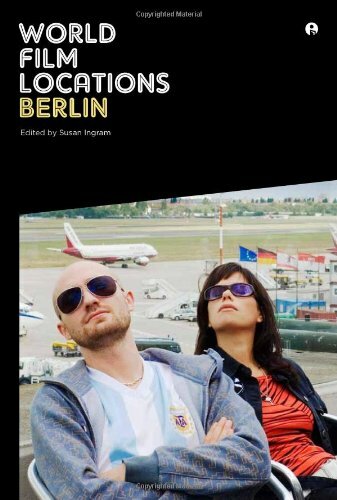 – Berlin (founded 2008) – small shop with a hand-picked selection of books and magazines on fashion, art, architecture and more. St. George’s English Bookstore – Berlin (founded 2003) – founded by twin brothers Paul and Daniel, the first 3 years were run parallel to a successful start-up business in the UK, the profits were then reinvested into the truly unrivalled selection that is housed in the heart of Prenzlauer Berg. 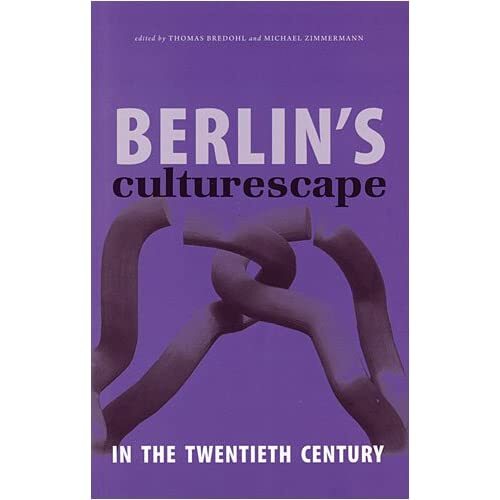 The largest selection of new and used English language books in Berlin. Globe Bookstore and Café – Prague (founded 1993) – first and best English language bookstore with a lively and trendy café that offers delicious coffee, cocktails and some of Prague’s best home cooking with a brunch menu on the weekends. The Globe Bookstore is expat Prague’s literary epicenter that provides a unique meeting place for artists, writers, students and travelers. The café also regularly hosts literary readings, movies, live music and other special and top sporting events; while the bookstore offers a wide selection of approximately 10,000 hand-picked quality titles that will impress even the most learned reader. Gay’s the Word – London (founded 1979) – Community book shop selling queer fiction and non-fiction and hosting regular events. One of only two specifically lesbian and gay bookstores in the United Kingdom and the only one in England, located in Bloomsbury, London. Founded by Gay Icebreakers, a gay socialist group. In 2007, with rising rents and the effect of Internet book-buying, the bookshop faced possible closure. It launched a campaign to stay open which got huge press coverage in newspapers like the Guardian, Times and Independent as well as the gay press like QX and Boyz. The shop workers were taken aback by the public response to the appeal with news on the crisis featuring in blogs from Russia to Australia, to America and Europe. Its future, for the present, is secure. The shop is a major supplier of books to libraries and resource centres across the UK and disseminates literature that promotes equality, understanding and freedom of information. Books for Cooks – London (founded 1983) – Cafe within a dedicated cookbook shop, serving an eclectic, daily changing menu, drinks and cakes. Founded by Heidi Lascelles at that time, when British cooking was a standing joke the world over. Heidi was neither a trained cook nor professional bookseller. But her time as a nurse had impressed upon her the importance of good food, while her experience as a customer was that the cookery sections of London’s famous bookshops were meagre, dusty and relegated to the back of the store. And so, undaunted, Heidi set up shop in a tiny store just over the road from where we now are on Blenheim Crescent. Heidi’s aim to stock as many different cookbooks as she could find, and her readiness to track down a wanted book from whatever corner of the globe it came and then to despatch the book to whatever corner of the globe from which it was requested, soon earned the store a large international clientele. Books For Cooks quite soon outgrew its original, diminutive home, squeezed out by cookbooks and customers. And, in the new larger shop across the road, Heidi installed a kitchen where she hoped recipes might be tested and the cookbooks on the shelves brought to life. Rosie Kindersley and Eric Treuille, Books for Cooks’ current proprietors, are convinced that the test kitchen is the secret of shop’s success. Word on the Water – London (founded 2011) – floating book boat at King’s Cross, Granary Square. Hatchards – London (founded 1797) – London’s oldest bookshop, established in 1797 by John Hatchard at 187 Piccadilly. Its customers have been the literary, political, artistic and social lions of their day and, since its inception, a link has been forged between the fine booksellers of Hatchards and the royal households of Britain and Europe, as demonstrated by the three royal warrants it currently holds. Eight generations of customers and booksellers have come and gone since the shop first opened its doors. Many things have changed but the essence of the place remains the same and is unchangeable. In 2014, Hatchards opened a new shop in St. Pancras International, right next door to Fortnum and Mason. Shakespeare and Company – Paris (founded 1919-1941, 1951-now) – The first was opened by Sylvia Beach, an American, on 19 November 1919, at 8 rue Dupuytren, before moving to larger premises at 12 rue de l’Odéon in the 6th arrondissement in 1922. During the 1920s, Beach’s shop was a gathering place for many then-aspiring writers such as Ezra Pound, Ernest Hemingway, Djuna Barnes, James Joyce and Ford Madox Ford. It closed in 1941 during the German occupation of Paris and never re-opened. The second bookstore is situated at 37 rue de la Bûcherie, in the 5th arrondissement, and is still in operation today. Opened in 1951 by American George Whitman, it was originally called “Le Mistral,” but was renamed to “Shakespeare and Company” in 1964 in tribute to Sylvia Beach’s store and on the 400th anniversary of William Shakespeare’s birth. Today, it continues to serve as a purveyor of new and second-hand books, as an antiquarian bookseller, and as a free reading library open to the public. Additionally, the shop houses aspiring writers and artists in exchange for their helping out around the bookstore. Since the shop opened in 1951, more than 30,000 people have slept in the beds found tucked between bookshelves. The shop’s motto, “Be Not Inhospitable to Strangers Lest They Be Angels in Disguise,” is written above the entrance to the reading library. The four “Shakespeare & Co” bookstores in New York City, which opened starting in 1981, are not affiliated with the Paris store. In 2016, the bookstore published its own history in a book titled Shakespeare and Company, Paris: A History of the Rag & Bone Shop of the Heart, edited by Krista Halverson with a foreword by Jeanette Winterson and an epilogue by Sylvia Whitman. Other contributors to the book include Ethan Hawke, Lawrence Ferlinghetti, Allen Ginsberg, Anaïs Nin, Robert Stone, Ian Rankin, Kate Tempest, and Jim Morrison. The book features an illustrated adaptation of Sylvia Beach’s memoirs. It also includes a selection of George Whitman’s letters and journals written along his “hobo adventures” during the Great Depression. Un Regard Moderne – Paris (founded 1980) – cathedral of international counterculture, established in rue Git-le-Coeur (literally “The Street Where your Heart Lay Down”), where Allen Ginsberg and William Burroughs used to have their Parisian stronghold, this bibliophilia treasure box is filled up to the ceiling with the most subversive, intriguing, and unusual art books, essays and comics that have inspired generations of bookworms and eye hedonists. Crammed into 2 rooms from floor to ceiling are some of the great treasures of publishing. Layer after layer, up to 4 in thickness and towering high above your head, scratching the next floor up, this store is one of the last of its kind. Jacques Noel will guide you through it and find any book you desire, with sections such as outsider art, surrealism, fetishism, japan import, graphic design, science fiction, fanzines, censored books, etc. Livraria Lello – Porto Portugal (founded 1869, current location since 1906) – located in civil parish of Cedofeita, Santo Ildefonso, Sé, Miragaia, São Nicolau e Vitória, in the northern Portuguese municipality of Porto. Along with Bertrand in Lisbon, it is one of the oldest bookstores in Portugal and frequently rated among the top bookstores in the world. Beginning in July 2015, the bookstore began requesting entrance fees for visitors. The bookstore was frequented by J.K. Rowling, author of the Harry Potter series, when she taught English in Porto and is reported to be an inspiration for her writing. Libreria Acqua Alta (“Library of High Water”) – Venice (founded 2005) – self-proclaimed “most beautiful bookstore in the world” is composed of a number of over-stuffed rooms stacked wall-to-wall with books, magazines, maps and other ephemera. Due to Venice’s constant flooding however, these picturesque piles are all placed inside bathtubs, waterproof bins, and in one room a full-size gondola. When the local waterways do rise to fill the well-known store, it can rise inches off the floor, which would destroy any other collection. The store’s whimsically cramped atmosphere is even reflected in their “fire escape” which is simply a door leading directly out into a canal. To really complete the look, the store has become home to more than one stray cat which are also able to escape the rising tides by hanging out atop the stacks. Atlantis Books – Santorini (founded 2002) – located in the idyllic whitewashed town of Oia, on the island of Santorini, the shop is a charming independent bookstore founded by a group of bibliophile friends. There’s a generous selection of fiction and non-fiction books in many languages. The Greek Villa that is Atlantis Books also hosts many literary evenings, theatre performances and open-air cinema viewings on the ocean terrace. BooksActually – Singapore (founded 2005) – independent bookstore specializing in fiction and literature, including poetry, literary journals, alongside obscure, critical works and antique/rare editions. BooksActually also houses the largest collection of Singapore literary publications including some out-of-print titles. They also carry a collection of stationery, publish and distribute books under the imprint Math Paper Press, and hand-stitch notebooks and produce stationery under Birds & Co.
Kanda-Jimbocho (“book town”) – Tokyo (founded 1877) – Jimbocho is Tokyo’s famous used-bookstore district. It caters to a variety of artistic interests and is well situated in central Tokyo. Jimbocho is named after the 17th-century samurai Jimbo Nagaharu who lived in the area; After the area was destroyed by fire in 1913, a man named Shigeo Iwanami opened up a bookstore which later become a publishing house that still exists to this day. Jimbocho boasts anywhere from 150 to 180 bookstores, depending on which source you reference, and most of the those stores are on the south side of Yasukuni-dori, the vertical main street on the map above. The other two streets worth walking in the area are the horizontal main street, Hakusan-dori, and the small street in the upper right quadrant of the map, Kandasuzuran-dori. Unity Books – Auckland and Wellington, New Zealand (founded 1967) – founded by Alan Preston. In 1989 Jo McColl and Nigel Cox (dearly loved, sadly departed) were given free rein by Alan Preston, then owner of Unity Books, to interpret the Auckland market. Sappho Books – Sydney – second-hand bookstore with a courtyard cafe, offering brekkie and lunch, plus wine, cocktails and shared plates, and it has the loyal patronage of many local Sydney University students. Paperback Bookshop – Melbourne (founded early 1960s) – small, independent shop at the top of Bourke street and was then one of the few Melbourne bookshops to sell a good selection of Australian and imported books, particularly paperback editions of books not commonly available in Melbourne. The shop is still open late and Pellligrini’s café is still serving good coffee next door. Bókin (“the book”) – Reykjavik, Iceland (founded 1964) – founded by Gudmundur Egil but throughout the years it changed many owners only to be bought by Gisli Ari Bragason in 1997, who has owned it ever since. Perhaps an interesting fact from Bókin’s history is that it was Bobby Fischer’s favorite bookstore ever since his 1972 victory in Iceland over Boris Spassky. Bókin is the place where he would spend hours, just sitting in the back of the store. Other bookstores in Reykjavik can be found here. El Ateneo Grand Splendid – Buenos Aires (founded 2000) – Teatro Gran Splendid opened in May 1919 with a seating capacity of 1,050, and staged a variety of performances, including appearances by the tango artists Carlos Gardel, Francisco Canaro, Roberto Firpo and Ignacio Corsini. In the late twenties the theatre was converted into a cinema, and in 1929 showed the first sound films presented in Argentina. The ornate former theatre was leased by Grupo Ilhsa in February 2000. Ilhsa, through Tematika, owns El Ateneo and Yenny booksellers (totaling over 40 stores), as well as the El Ateneo publishing house. The building was subsequently renovated and converted into a book and music shop under the direction of architect Fernando Manzone; the cinema seating was removed and in its place book shelves were installed. Chairs are provided throughout the building, including the still-intact theatre boxes, where customers can dip into books before purchase, and there is now a café on the back of what was once the stage. The ceiling, the ornate carvings, the crimson stage curtains, the auditorium lighting and many architectural details remain. The Guardian, named El Ateneo Grand Splendid second in its 2008 list of the world’s ten best bookshops. Grolier Poetry Book Shop – Cambridge Massachusetts (founded 1927) – founded by Adrian Gambet and Gordon Cairnie, the original shop stocked mainly private press books, some poetry, and a sampling of avant-garde literature. Frequented over the years by the poets mentioned above, as well as others such as Charles Olson, Anais Nin, Seamus Heaney, Frank Bidart, Robert Pinsky, David Ferry, the literary tradition became well established. In 1976, then owner, Louisa Solano, developed the Grolier as an exclusive showcase for poetry. She stocked some 15,000 current poetry volumes with an emphasis on the small press. This same year saw the co-sponsorship of the Grolier Poetry Prize with the Blacksmith House Poetry Reading Series. She also introduced the concept of autograph/reading parties. As the audiences increased, the poets moved from inside the store to the stairs. A formal reading series soon developed. Poetry street festivals were also held. In 1986 the Intercollegiate Undergraduate Poetry Reading Series was established. Eleven colleges were represented. In 1983 for the duration of her ownership, the Ellen La Forge Memorial Poetry Foundation assumed the funding of these activities and the sole responsibility of the Prize. In 1987 she received the Women’s National Book Association Award as one of 70 Who Have Made A Difference. In April 2006 Ms. Solano sold the Grolier Book Shop to Ifeanyi Menkiti, poet and professor of philosophy at Wellesley College, with the shop opening under new management on May 6, 2006. Harvard Book Store – Cambridge Massachusetts (founded 1932) – independent bookshop offering new and used titles, plus Harvard University gifts, established by Mark Kramer, father of longtime owner Frank Kramer, and originally sold used textbooks to students. Family-owned for over seventy-five years, the store was sold in the fall of 2008 to Jeffrey Mayersohn and Linda Seamonson of Wellesley, Massachusetts, and remains an independent business. Though often confused with the Harvard Coop, the store has no affiliation with Harvard University or the Harvard Coop bookstore, which is managed by Barnes & Noble. With a focus on an academic and intellectual audience, the store’s selection and customer service is repeatedly honored by local publications and surveys. In 2009, the store introduced an on-demand book printing service called the Espresso Book Machine, produced by New York firm On Demand Books, using books in the public domain available through Google Library. Brattle Book Shop – Boston (founded 1825) – founded in a three-story building in the Cornhill section of Boston, it has been in the hands of the Gloss Family since 1949. Over the years George and his son Kenneth built this shop into one of the largest antiquarian book shops in the country. The shop carries an impressive stock of over 250,000 books, maps, prints, postcards and ephemeral items in all subjects, as well as an inventory of first editions, collectibles and fine leather bindings in its rare book room. Ken Gloss is the current proprietor of The Brattle Book Shop. He is a past President of the Antiquarian Booksellers Association of America’s New England Chapter. He also sits on the Associate Board of the Boston Public Library. Book Cellar – Chicago (founded 2004) – independent bookstore and cafe, located in Chicago’s Lincoln Square neighborhood, in the heart of the culturally diverse neighborhood once known as the city’s Germantown. The Golden Notebook – Woodstock New York (founded 1978) – named after original owner Ellen Shapiro’s favorite Doris Lessing novel, the store opened its doors on June 23, 1978. Shapiro and business partner Barry Samuels leased the storefront that had formerly been Joe Forno’s Colonial Pharmacy. Forno built 29 Tinker in 1947 with lumber from Nelson Shultis’ mill in Wittenberg; under his kindly supervision Colonial became the town’s principal destination for ice cream. In 2015, James Conrad, former co-owner of Woodstock Wool Company in Woodstock, purchased the building at 29 Tinker Street, along with 50 percent of the business. His first novel, Making Love to the Minor Poets of Chicago, was published by St. Martins Press in 2001. In 2018, the Golden Notebook continues on in the original spirit of its founders, providing quality literature to a town full of creative folk. Strand Book Store – New York (founded 1927) – independent bookstore located at 828 Broadway, in the East Village neighborhood of Manhattan, two blocks south of Union Square. The store’s Central Park kiosk is open on fair weather days at the corner of Fifth Avenue and East 60th Street. The company’s slogan is “18 Miles Of Books,” as featured on its stickers, T-shirts, and other merchandise. Benjamin Bass’s first bookstore was the Pelican Book Shop on Eighth Street near Greene Street. The store was not a success, and Bass, who was an immigrant from Lithuania, next opened the Strand – named after the street in London. Early on, he slept on a cot in the store. The “Book Row” was established as early as 1890, started to disappear around the 1930s due to the Great Depression and again in the 1950s, due to rent increases. Bass’s son Fred – who started working in the store when he was 13 years old – took over the business in 1956 and the next year moved the store to the present location at the corner of East 12th Street and Broadway. The store expanded to the entire first floor of the building, and then first three floors in the 1970s The store now occupies three and a half floors, with another half floor for offices and one additional floor for warehouse space. Bass’s daughter Nancy Bass Wyden – who is married to U.S. Senator Ron Wyden of Oregon – has been the co-owner of the store and ran it since her father’s retirement in November 2017, and is now the sole owner, with her father’s death in January 2018. Three Lives & Company – New York (founded 1968) – named after Gertrude Stein’s book. Books of Wonder – New York (founded 1980) – the tiny, hole-in-the-wall shop was barely 200 square feet with bookshelves hand-built by 20-year-old founder, Peter Glassman, and his partner James Carey. The original concept was for the store to be devoted primarily to antique children’s books until Peter discovered he didn’t have enough antique books to fill his shelves, and quickly decided to add a section of new children’s books as well. Located at 444 Hudson Street in New York’s Greenwich Village, the store moved up the street to 464 Hudson in 1982 to larger quarters – though still small, at only 400 square feet. In 1985, Books of Wonder began its publishing division by establishing a joint imprint with William Morrow and Company. In 1996, Books of Wonder moved to an even larger, better trafficked location at 16 West 18th Street. With a third more space than our 7th Avenue location, Books of Wonder continued to grow in our new location, hosting standing-room only events with such celebrated authors as J.K. Rowling (twice! ), Madeleine L’Engle, Lloyd Alexander, Maurice Sendak, Eric Carle, and many others. In 1997, You’ve Got Mail was being directed by longtime customer and friend, director and writer Nora Ephron. She and her sister, co-writer Delia Ephron (another longtime friend and customer), had Books of Wonder in mind as the model for the children’s bookstore in the movie. Meg Ryan even spent a day working at the shop to prepare for her role in the film. Books Are Magic – Brooklyn (founded 2017) – home to exciting new releases and beloved classics, hidey-holes for children and books to read in them, gumballs filled with poetry, readings and panels almost every night of the week and storytimes on the weekends, and yes, plenty of magic. Writer Emma Straub and Michael Fusco-Straub live and work in Cobble Hill, Brooklyn, and the shop is their third child. Their two sons are very excited about the new addition to the family. You can read more about Emma’s books here. Politics and Prose – Washington, DC (founded 1984) – independent bookstore located in Chevy Chase, Washington, D.C., on Connecticut Avenue. The store was founded by co-owners Carla Cohen and Barbara Meade, who expanded the store fivefold to its present size. After a failed sale attempt in 2005, the two co-owners eventually sold the store to current owners Bradley Graham and Lissa Muscatine in 2011. Its author events attract famous speakers, such as Bill Clinton and J.K. Rowling, and have a reputation for their astute audiences. The 14,000 square foot space contains an Espresso Book Machine for on-demand printing of self-published and out-of-print books and a cafe on the first floor of the building called “Modern Times” in addition to space for books. The store is famous for its author events, in which writers usually read an excerpt from their book and take questions from the audience. C-SPAN broadcasts around five of the talks a month. Traveller Restaurant Food and Books – Union, Connecticut (founded 1985) – a rustic dining room offering burgers, steaks, fried seafood & beer, with free books for customers. After your meal you pick up three books from the bookstore for free. Giovanni’s Room – Philadelphia (founded 1973) – longest-running gay bookstore in U.S., named after James Baldwin’s novel Giovanni’s Room. Philly AIDS Thrift took over the store after the owner retired in 2014 and the bookstore is now called Philly AIDS Thrift at Giovanni’s Room. Tom Wilson Weinberg, Dan Sherbo and Bern Boylethe opened Giovanni’s Room in 1973 on the 200 block of South Street. The store was closed shortly afterward due to a homophobic landlord. Hermance and Arleen Oshan paid $500 for the business in 1976. The store then moved to 1426 Spruce Street but was eventually forced by the landlord to close. It was able to gather support from the gay and lesbian community and eventually moved to its last location on 12th and Pine. In April 2014 the store’s owner of 38 years, Ed Hermance, announced his retirement plans and closed the store on May 17, 2014. He soon after made an agreement with Philly AIDS Thrift and they reopened the store as its proprietor that fall. Moravian Book Shop – Bethlehem, Pennsylvania (founded 1745) – oldest continuously-operating book shop in the U.S., founded in 1745 by the Moravian Church (Livraria Bertrand in Lisbon, Portugal, which has been open since 1732, is the oldest bookstore in the world.) The Moravian Book Shop, as of June 2018, is also home to the Moravian College student bookstore. The bookstore is currently owned by Moravian College with day-to-day operations handled by Barnes & Noble College Booksellers. Common Good Books – St. Paul, Minnesota (founded 2006) – tucked below Nina’s Coffee Cafe at the corner of Selby and Western. On April 9, 2012, they reopened at the corner of Grand and Snelling (38 S Snelling Ave.) in a new, larger, sunnier location. Birchbark Books – Minneapolis (founded 2008) – Minneapolis and St. Paul have one of the largest concentrations of urban Native people in the United States. Birchbark Books provides a locus for Native intellectual life. We are native owned (Louise Erdrich is an enrolled Turtle Mountain Chippewa) and our staff is of either Native background, or exceedingly Native-friendly! John K. King Used and Rare Books – Detroit (founded 1965) – the store has an estimated 1 million books in stock, with a large collection of rare and used titles. The store was established in Dearborn, Michigan by John K. King in 1965. In 1971 it was moved to the Michigan Theatre in downtown Detroit. In 1983 King purchased the abandoned Advance Glove factory, which has since housed the store’s collections. Later, two smaller stores were opened: John K. King Books North in Detroit’s Ferndale suburb and The Big Book Store in the Cass Corridor neighborhood, adjacent to Wayne State University, specializing in rare comics and paperbacks. Faulkner House Books – New Orleans (founded 1990) – former home of William Faulkner now serves as a shop selling classic & local interest books. Located at 624 Pirate’s Alley in the heart of New Orleans’ beautiful and historic French Quarter, just off Jackson Square, behind the Cabildo and opposite St. Louis Cathedral’s rear garden. Owned and operated by attorney Joseph J. DeSalvo Jr., Faulkner House Books is a sanctuary for fine literature and rare editions, including, of course, books by and about Mr. Faulkner. Parnassus Books – Nashville Tennessee (founded 2011) – co-owned by Karen Hayes and author Ann Patchett, it is the independent bookstore with an extensive and exciting selection of books including fiction, non-fiction, children’s, local interests, and the arts. The store also boasts an extensive local author section. In Greek mythology, Mount Parnassus was the home of literature, learning, and music. Charis Books – Atlanta (founded 1979) – Cozy bookstore in a purple house specializing in feminist & cultural studies, plus kids’ lit. Elliott Bay Book Company – Seattle (founded 1973) – independently-owned bookstore founded by Walter Carr at 109 Main Street. Over the next three and half decades, the bookstore shifted and expanded within the Globe Building adding event space for author readings as well as Seattle’s first bookstore café. In 2010, Elliott Bay relocated to 1521 10th Ave in the Capitol Hill neighborhood near downtown Seattle. Powell’s Books – Portland (founded 1971) – chain of bookstores in Portland, Oregon, and its surrounding metropolitan area. Powell’s headquarters, dubbed Powell’s City of Books, claims to be the largest independent new and used bookstore in the world, and occupies a full city block between NW 10th and 11th Avenues and between W. Burnside and NW Couch Streets. It contains over 68,000 square feet (6,300 m2), about 1.6 acres of retail floor space. Starting in May 2012, Powell’s began offering access to print on demand books via the Espresso Book Machine. Bart’s Books – Ojai, California (founded 1964) – largest outdoor independent bookstore, founded by Richard Bartinsdale. It is mostly an outdoor bookstore, and some books are available for sale at all hours. Shelves of books face the street, and patrons are asked to drop coins into the door’s coin box to pay for any books they take whenever the store is closed. Bart’s has been featured in documentaries, television news programs, newspaper and magazine articles, and Hollywood movies. The store was also featured in Easy A, a 2010 American teen comedy. The Last Bookstore – L.A. (founded 2005) – largest independent bookstore in the world, housed in a former bank and the underground vaults are now reading rooms. The store was founded by Josh Spencer in 2005, the first incarnation was a downtown Los Angeles loft, they sold books and other things online only. Then they decided to focus on books, opened a small bookstore on 4th Street and Main Street in December, 2009. They moved to the current incarnation in the Spring Arts Tower at 5th Street and Spring Street on June 3, 2011. It contains 22,000 square feet. The name was chosen with irony, but seems more appropriate with each passing day as physical bookstores die out like dinosaurs from the meteoric impact of Amazon and e-books. City Light Books – San Francisco (founded 1953) – independent bookstore-publisher that specializes in world literature, the arts, and progressive politics. It also houses the nonprofit City Lights Foundation, which publishes selected titles related to San Francisco culture. It was founded in 1953 by poet Lawrence Ferlinghetti and Peter D. Martin (who left two years later). Both the store and the publishers became widely known following the obscenity trial of Ferlinghetti for publishing Allen Ginsberg’s influential collection Howland Other Poems (City Lights, 1956). Nancy Peters started working there in 1971 and retired as executive director in 2007. In 2001, City Lights was made an official historic landmark. City Lights is located in Chinatown, near the border of North Beach. City Lights was the inspiration of Peter D. Martin, who relocated from New York City to San Francisco in the 1940s to teach sociology. He first used City Lights – in homage to the Chaplin film – in 1952 as the title of a magazine, publishing early work by such key Bay Area writers. A year later, Martin used the name to establish the first all-paperback bookstore in the U.S., at the time an audacious idea. Dog Eared Books – San Francisco (founded 1992) – two locations in the Castro and Mission. If you’re looking for a pleasant place to peruse a lot of books, seek no further! Since 1992, Dog Eared Books has been supplying a book-hungry San Francisco with new, used, and remaindered books as well as magazines, calendars, and blank notebooks. They have a little of everything, but also specialize in off-beat, small press, and local literature. The Castro location has a great collection of LGBTQ+ history books curated front and centre, and both locations carry lots of resistance books. Alley Cat Books – San Francisco (founded 2011) – Used and new book titles in English and Spanish offered at this welcoming bookstore with an art gallery. It opened in the heart of the Mission district in 2011. They also carry a colorful array of magazines, calendars, and notebooks. The back of the store is an art gallery, where local and international artists grace the high walls. Sometimes you might stumble into an art opening, poetry reading, or film screening. Adobe Books – San Francisco (founded 1989) – Comfy bookshop boasts a diverse selection of genres and a back art gallery in a light-filled interior. Opened in 1989, in the Mission district by Andrew McKinley who was the proprietor for 23 years, during which time the store became a bohemian nexus for a large rotating cast of artists, musicians, writers, readers, and thinkers. In 2001, the former back storage room was transformed in to a dedicated gallery space. In 2012, with San Francisco gearing up for the second dot-com boom, the beloved 16th street shop faced an untenable rent hike and a changing neighborhood. A group of Adobe regulars came together and formed a cooperative structure. A fund raising campaign eased the move over to 24th street, adding to the small number of existing independent bookstores on the informal bookstore row. Now approaching the 30th year in business, it hosts 159 annual public events, free of charge to the artists, musicians, poets, writers, and thinkers! Moe’s Books – Berkeley (founded 1959) – Since its inception back in the heyday of the Beatnik era, Moe’s Books has managed to become more than just a great bookstore–it has achieved the rarified status of a beloved landmark institution as well. Situated just four blocks from the University of California campus, Moe’s has managed to mirror the often turbulent and triumphant times that have come to epitomize all that is exciting and unique about Berkeley. Founded in 1959 by Moe Moskowitz and his wife, Barbara, the original site of the store was a small shop on Shattuck just north of University Avenue. He moved the store up to Telegraph Avenue in the 1960s, right in the middle of the Free Speech Movement and the famous anti-war demonstrations that put Berkeley on the political map. Sleepy Cat Books – Berkeley (founded ) – Owner Jeff Koren originally opened Sleepy Cat Books a decade ago in Orinda but moved to Berkeley to sell both new and gently used books, and will hold many literary events. Stop by to say hi to the two cats, Oliver and Lyla, that are always at the bookshop. Royal Library Copenhagen – (founded 1648) – founded by King Frederik III, who contributed a comprehensive collection of European works, and opened to the public in 1793. In 1989, it was merged with the prestigious Copenhagen University Library (founded in 1482). In 2005, it was merged with the Danish National Library for Science and Medicine, now the Faculty Library of Natural and Health Sciences. The official name of the organization as of 1 January 2006 is The Royal Library, the National Library of Denmark and the Copenhagen University Library. In 2008, the Danish Folklore Archive was merged with the Royal Library. It is among the largest libraries in the world and the largest in the Nordic countries. In 2017 it merged with the State and University Library in Aarhus to form a combined national library (the separate library locations in Copenhagen and Aarhus). It contains numerous historical treasures, and a copy of all works printed in Denmark since the 17th century are deposited there. Thanks to extensive donations in the past, the library holds nearly all known Danish printed works back to and including the first Danish books, printed in 1482 by Johann Snell. L.A. Public Library – (founded 1872) – The Los Angeles Library Association was formed in late 1872, and by early 1873, a well-stocked reading room had opened. The historic Central Library Goodhue building was designed by the architect, Bertram Goodhue, constructed in 1926, and is a Downtown Los Angeles landmark. The catalyst for the renovation was a devastating arson fire on April 29, 1986. Although the building was safely evacuated, its vintage construction precluded the ventilation of heat and smoke, and limited firefighter access. It took firefighters over seven hours to extinguish the fire and little fires would continue to sprout up for several days after. Some 400,000 volumes—20 percent of the library’s holdings—were destroyed, with significant water and smoke damage done to the surviving works, of which 700,000 were damaged by water or smoke. The estimated cost for replacing the 400,000 works lost was over $14 million. A second fire, on September 3 of the same year, destroyed the contents of the music department reading room. The Library’s renovation was completed in 1993. New York Public Library – (founded 1895) – with nearly 53 million items and 92 locations, the New York Public Library is the second largest public library in the United States (behind the Library of Congress) and the third largest in the world. It is a private, non-governmental, independently managed, nonprofit corporation operating with both private and public financing. The downtown branch was declared a National Historic Landmark in 1965, and designated a New York City Landmark in 1967. The New York Public Library offers many services, including services for immigrants, free work and life skills classes, and free ESOL classes. An initiative was taken in July 2018, NYC library card holders are allowed to visit Whitney Museum, the Guggenheim and 31 other prominent New York cultural institutions for free. Seattle Central Library – (founded 1890 / 2004) – 11-story glass and steel building in downtown Seattle, designed by Rem Koolhaas and Joshua Prince-Ramus. It can hold about 1.45 million books and other materials, features underground public parking for 143 vehicles, and includes over 400 computers open to the public. Architectural tours of the building began in June 2004. There has been a library located in downtown Seattle as far back as 1891; however, the library did not have its own dedicated facilities and it was frequently on the move from building to building. The Seattle Carnegie Library, the first permanent library located in its own dedicated building at Fourth Avenue and Madison Street, opened in 1906. The current Seattle Central Library is the third library building to inhabit the city block between Fourth and Fifth Avenues. Funding for the new Seattle Central Library building, as well as other construction projects throughout the library system, was provided by a $196.4 million bond measure, called “Libraries for All,” approved by Seattle voters on November 3, 1998. The project also received a $20 million donation from Bill Gates, of Microsoft. Vancouver Public Library – (founded 1869) – In January 1869, the manager of the Hastings Mill, J.A. Raymur, started the New London Mechanics Institute, a meeting room and library for mill employees. Following the Great Vancouver Fire on June 13, 1886, 400 books from the now-defunct Hastings Literary Institute were donated to the newly established Vancouver Reading Room. In December 1887, the Reading Room opened at 144 West Cordova Street, above the Thomas Dunn and Company hardware store. It was also known as the Vancouver Free Library and the Vancouver Free Reading Room and Library. By the late 1890s, the Free Reading Room and Library in the YMCA Building on West Hastings had become overcrowded. During this period, the American industrialist and philanthropist Andrew Carnegie was giving money to cities and towns to build libraries. In 1901, the City of Vancouver approached Carnegie about donating money for a new library to replace the space in the YMCA Building. The move from the Carnegie site to the new location at 750 Burrard began in mid-October 1957, and the official opening of the new library was held on November 1, 1957. The library remained at the Burrard building until April 22, 1995, when it closed in preparation for the move to a new location at Library Square (350 West Georgia Street). The central branch opened in Downtown Vancouver on May 26, 1995 and cost CAD $106.8 million to build. Kansas City Public Library – (founded 1873) – the oldest and third largest public library system in the metropolitan Kansas City area. Its special collections, housed in the Central Library’s Missouri Valley Room, has a collection of Kansas City local history, including original and published materials, news articles, post cards, photographs, maps, and city directories dating from the community’s earliest history. The Library’s Ramos Collection includes books, pamphlets, journal articles and other materials relating to African-American history and culture. Built in 2004, The Community Bookshelf (also known as the Library District Parking Garage) is a striking feature of Kansas City’s downtown. It runs along the south wall of the Central Library’s parking garage on 10th Street between Wyandotte Street and Baltimore Avenue. The concept of turning the parking garage into a bookshelf was part of an effort on behalf of the community to bring character to the needed structure. The book spines, which measure approximately 25 feet by 9 feet. The shelf showcases 22 titles reflecting a wide variety of reading interests as suggested by Kansas City readers and then selected by The Kansas City Public Library Board of Trustees. The Kansas City Public Library has an open door policy when it comes to their patrons. Beginning in 2016, the Library’s Americorps VISTAs and the Outreach team began a program called Coffee & Conversations for patrons in order to tackle the issue of homelessness within the community. Additionally, the Kansas City Public Library has a program to help immigrants. The Refugee and Immigrant Services & Empowerment (RISE) program helps immigrants by providing information on resources, which help them pursue citizenship. This entry was posted in Art, Books, Cities and tagged Books, bookshops, Travel. Bookmark the permalink.